Don't worry, this will in no way interrupt Chris Hemsworth's work in "The Avengers." Hemsworth is in talks to star as British Formula One driver James Hunt in "Rush," with Ron Howard directing a script by Peter Morgan, reported Deadline. The film will focus on Hunt's rivalry with fellow driver Niki Lauda, whom he battled for the world title throughout the '70s. Morgan and Howard previously collaborated on "Frost/Nixon," their Oscar-nominated adaptation of Morgan's own hit play about the famous interview during which the ex-president finally admitted that he'd taken part in the Watergate cover-up. Morgan has written some very good films over the past decade, but his last two have been duds: "State of Play" was just kind of boring, and "Hereafter" was a wretched mess. But he's looking to make a strong rebound with the new version of "Tinker Tailor Solider Spy," starring Gary Oldman, Colin Firth and Tom Hardy that's due out this fall. A fascinating look at the life and career of Ayrton Senna, one of the greatest Formula 1 drivers of all time. Opens Aug. 12. And speaking of folks in need of a rebound, we got paid to see Howard's last film, The Dilemma," and we still felt ripped off. 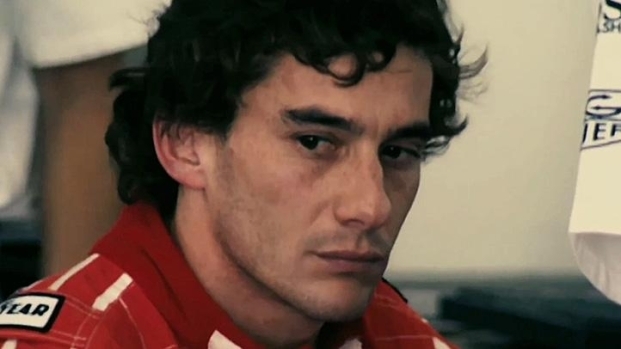 We can't help but wonder if the move forward on "Rush" has been inspired by the reception to the fascianting new doc "Senna," about Formula One legend Ayrton Senna, who had his own rivalry in the '80s with France's Alain Prost.